IRVINE, CALIF – Bank of America has named Families Forward the 2015 Neighborhood Builder. Families Forward is being recognized for its work helping Orange County families in need achieve and maintain self-sufficiency by assisting them with finding realistic solutions to affordable housing. 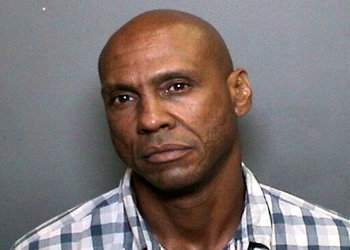 LAKE FOREST, Calif. (September 21, 2015) – On Monday, September 21, 2015, Orange County Sheriff’s deputies arrested Chandler Graham, 52, Los Angeles, in connection with an armed robbery at the Eagle Community Credit Union located at 23021 Lake Center Drive, in Lake Forest. Graham was arrested near the intersection of Red Hill Avenue and El Camino Real in the City of Tustin, following a short vehicle pursuit. MISSION VIEJO, Calif. (September 17, 2015) – On Thursday, September 17, 2015, Orange County Sheriff’s Department deputies arrested Raymond Edward Feiner, 58, San Clemente in connection with an attempted robbery at the Wells Fargo Bank located at 26151 La Paz Road. Feiner was arrested after a witness followed him out of the bank and identified him to deputies as he tried to flee the area in a vehicle. LAGUNA NIGUEL, Calif. (September 4, 2015) – On Thursday, September 3, 2015, Orange County Sheriff’s deputies arrested Nicholas Daniel Otte, 21, Laguna Hills, following a robbery at the Bank Of America located at 30162 Crown Valley Parkway. Otte was arrested as he exited the bank, attempting to blend in with customers who were also exiting. IRVINE, CA – On Wednesday, April 22, 2015, a man entered the Wells Fargo Bank at 6503 Quail Hill Parkway in Irvine and produced a note demanding cash from an individual teller’s drawer. The man did not speak during the robbery. Unemployment is still a major economic issue that faces our communities there is one specific pool of underemployed, in particular, who should not be – not only because they are highly skilled, but also because of the debt of gratitude we as a nation owe them in serving our country. This group is military veterans. According to the Bureau of Labor Statistics, veterans who served during the Iraq and Afghanistan wars had an unemployment rate of 9 percent in 2013, compared to 7.2 percent of non-veterans. MISSION VIEJO, Calif. – (March 16, 2015) – On Monday, March 16, 2015, Orange County Sheriff’s deputies arrested Lharimi Lamsen, 30, Stanton, on suspicion of bank robbery. Lamsen was arrested as he fled the area of the Wells Fargo Bank where he is suspected of having just committed an armed robbery.